Joshua Strauss is an Executive Managing Director with RKF, specializing in landlord and tenant representation in the New York Metropolitan area and key urban markets throughout the United States. Joshua has worked extensively in representing major national and international retailers such as Citibank, The Limited, Theory, Helmut Lang, Loehmann’s, New York & Company, FedEx Office, IRO, Herve Leger, BCBGMaxazria, Dreamworks, Pret A Manger, Dita, Equinox Fitness and Vera Wang. Among his many accomplishments as a tenant representative, he assisted New York & Company in leasing 14,700 SF at 715 Lexington Avenue, completed more than 20 leases on behalf of Pret A Manger throughout the United States, arranged 16 deals for Custo Barcelona throughout the US and most recently secured five new locations for Zadig & Voltaire in Manhattan. He is currently assisting Dreamworks on developing a strategy for the national expansion of its Dreamworks Dreamplay concept. 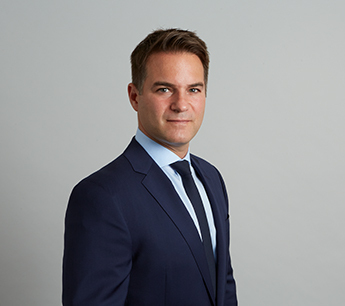 During his career as a retail specialist, Joshua has also represented many prominent landlords in New York, including RFR Realty, AFI USA, The Witkoff Group, Reckson Associates, The Trump Organization, Related Companies, Fisher Brothers, SJP Properties and The Moinian Group. His significant transactions have included leasing a 40,000-SF space at 1501 Broadway to Hard Rock Cafe; securing Tom Ford as the flagship tenant at 845 Madison Avenue as well as leasing 3,922 square feet to Emilio Pucci and 2,000 SF to Bottega Veneta for their Madison Avenue flagships; representing Howard Hughes Development Corp. in the leasing of 60,000 SF at The Seaport District and 20,000 SF at 583 Broadway to Under Armour for the brand’s flagship store; and leasing 10,000 SF to Tory Burch at 153 Mercer Street. At The Times Square Building on behalf of AFI USA, he secured a 60,000-SF lease with Discovery TSX, who he also represented in the transaction, a 75,336-SF lease with Bowlmor Lanes and a 25,000-SF lease with Daffy’s. The Real Estate Board of New York awarded The Times Square Building with the 2009 Most Creative Retail Deal of the Year Award. Prior to joining RKF, Joshua was a top performer at Insignia/ESG (now CB Richard Ellis). He earned a Bachelor of Science Degree from Lehigh University Business School and is a member of the International Council of Shopping Centers and the Real Estate Board of New York.